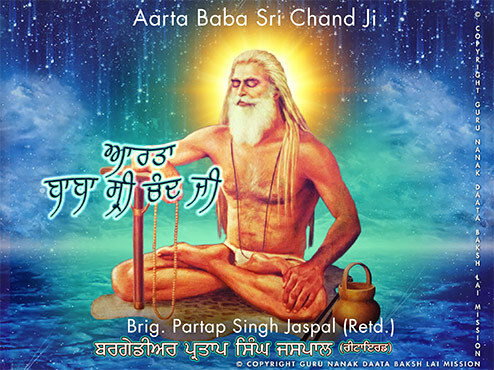 A humble Tribute to Baba Nand Singh Ji Maharaj, offered by Babaji's direct disciple - Brig. Partap Singh Jaspal (Retd.). Guru Arjan Patshah in the above Hymn "Phalgun Nit Salahiye Jis Nu Til Na Tamaye" in Barah Mah describes "Jis Nu Til Na Tamaye” (who is above all greed) as the Divine Virtue of the Lord which supercedes all other virtues. In another hymn on Satguru, Sri Guru Granth Sahib again mentions this as the highest virtue for the Satguru. Then, for a Mahapurush, a Gurmukh, this is again the virtue which Sri Guru Granth Sahib says, is above all other virtues. His blazing spirit of renunciation is beyond human comprehension. It remains unmatched till date and shall continue to so radiate for all times to come. His luminous life, a life of total renunciation of everything worldly, a life of total selfless devotion and service of Sri Guru Granth Sahib as living Sri Guru Nanak Sahib, a life of total self effacement, of self abnegation, a life of total humility and compassion is in itself the holiest of the holy message for mankind. Glory of God is sung as the one 'Jis Noon Til Na Tamaey' (sing the Glory of God who is above all greed). No sage has appeared in the world to rival Baba Nand Singh Ji Maharaj as a Tyagi of that stature, above greed to the same extent as God.